I just got back from a long weekend in Arizona with my family. It felt like summer in the desert with such high temps, so I kept cool in light breezy pieces. how darling are you!! I love this look. Hope AZ was fabulous. i wish it was that warm here! love the polka dots, always a classic, hope you had a fun time! Great polka dot top! And that hat is so much fun! Love the fedora, you look great in it! What a great look! Love the summer-ish top! coral is THE hue of the summer! 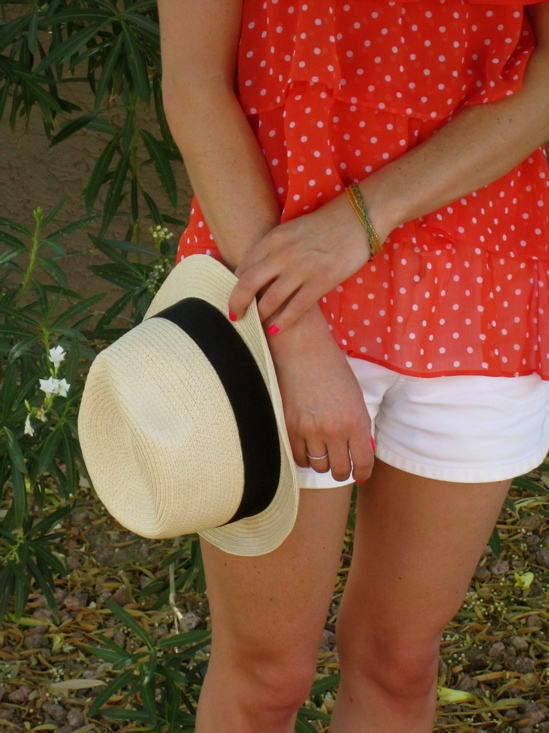 Your hat is a great way to add a playful touch to a look.